We had an amazing opening night at Mirada Fine Art for Pablo Milan's new exhibition, 'southwestern LAYERS.' 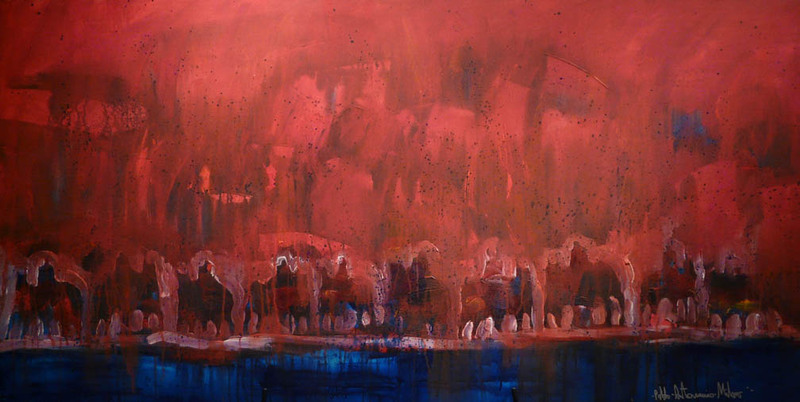 The images of Pablo's southwestern heritage explode onto the canvas with loose brushstrokes revealing expressionistic versions of horsemen, danvers, and warriors. 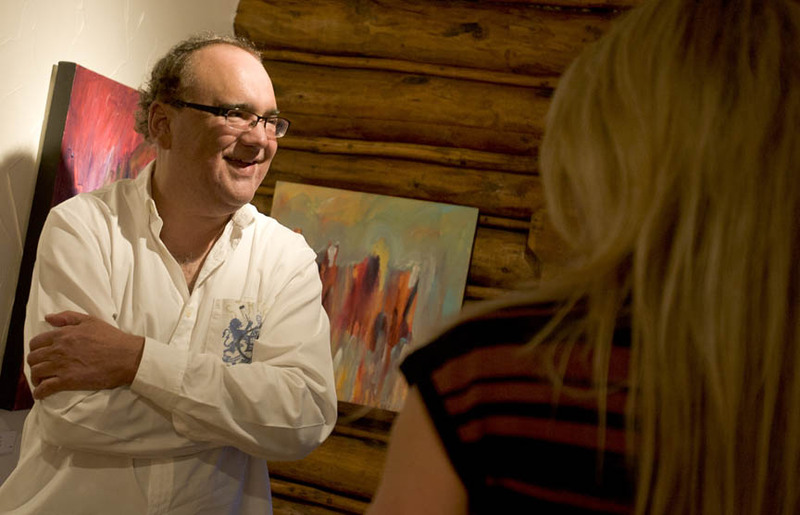 His prestigious resume includes highlights such as 'Spanish Artist of the Year.' 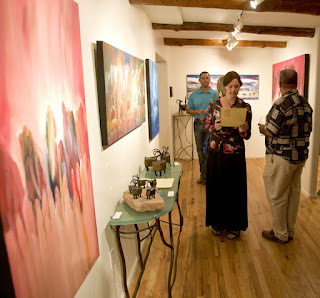 If you weren't able to make the opening, you can still see the entire exhibit through October 14th. 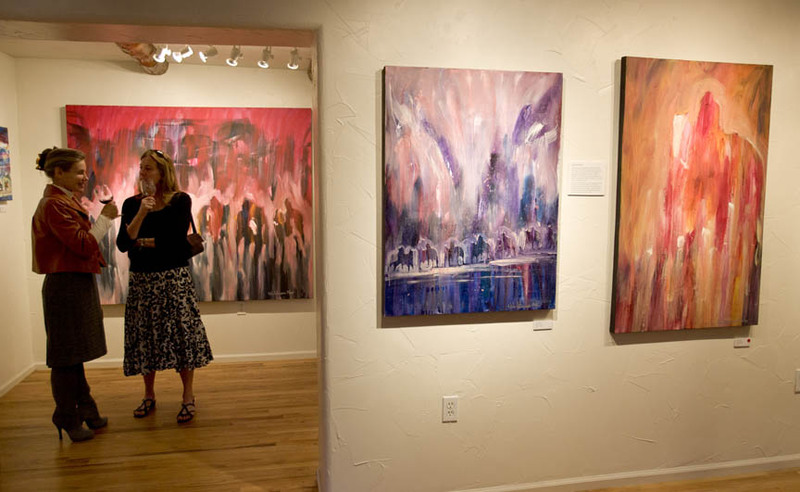 Pablo Milan's 'southwestern LAYERS' at Mirada Fine Art near Denver, Colorado. 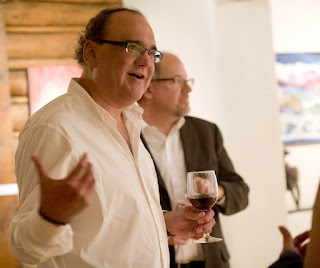 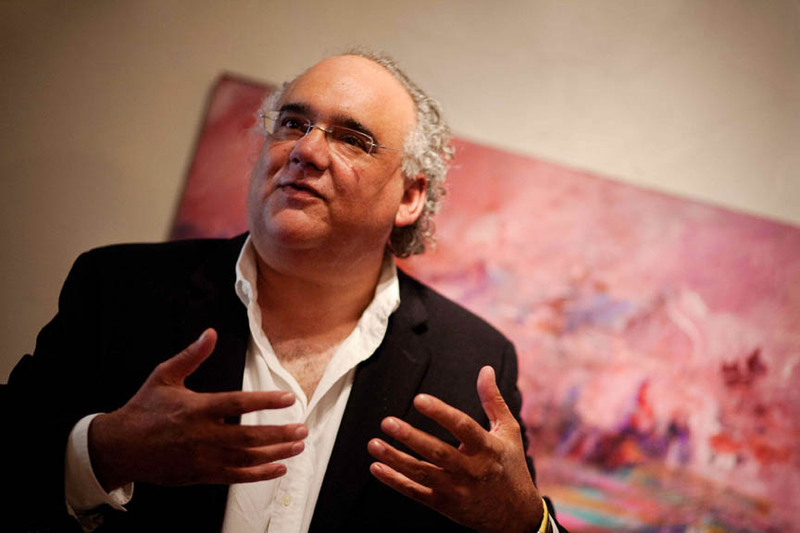 Pablo Milan discusses his artwork at Mirada Fine Art. 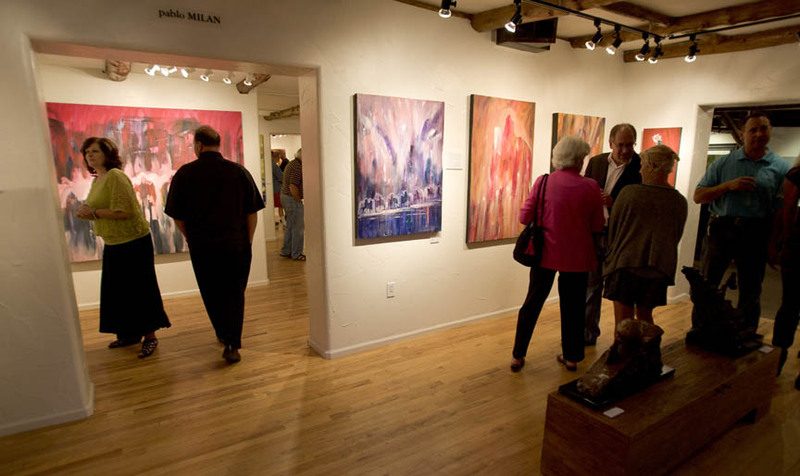 Pablo Milan at Mirada Fine Art near Denver, Colorado. 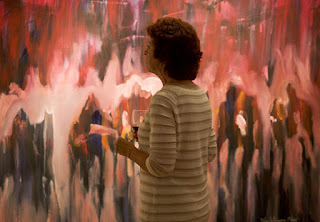 A patron of Mirada Fine Art enjoy Pablo Milan's work. 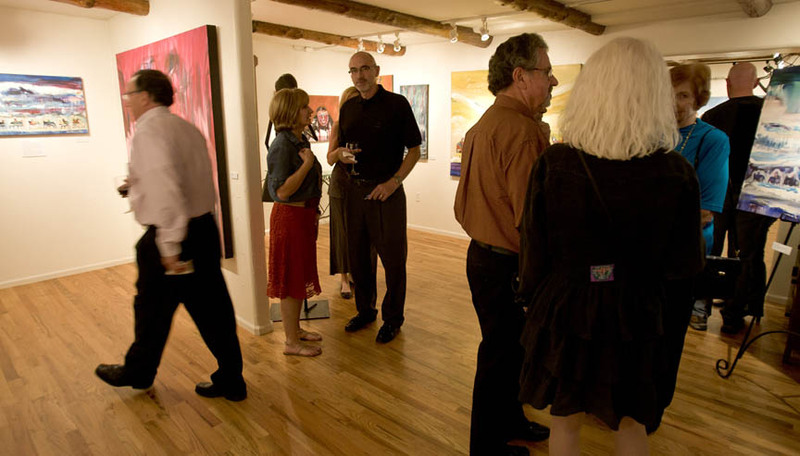 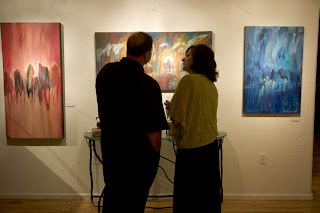 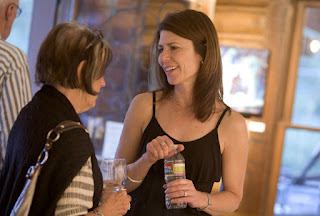 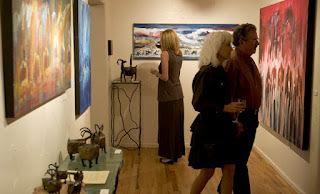 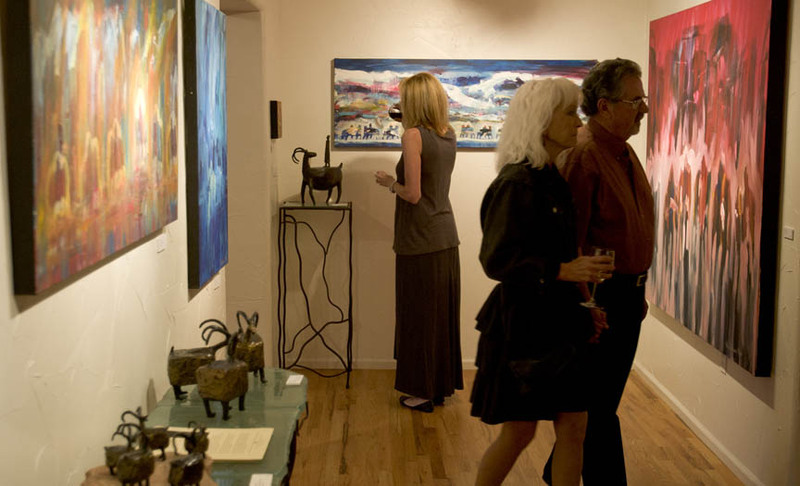 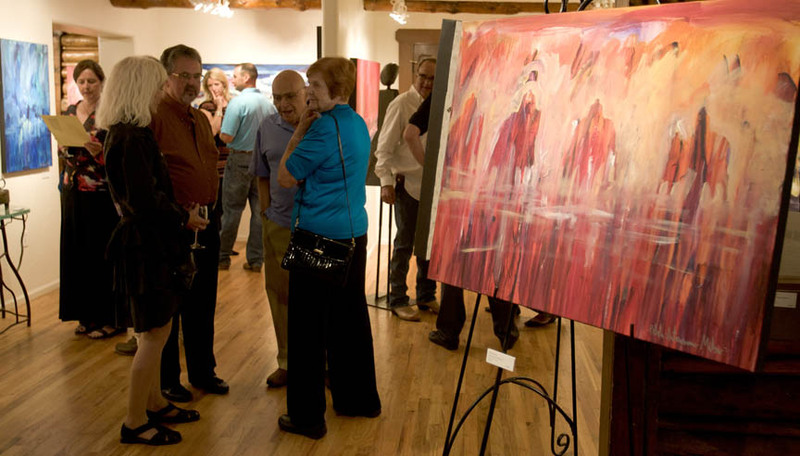 Jenni Sonnen, co-owner of Mirada Fine Art, talks to a patron during Pablo Milan's exhibition. 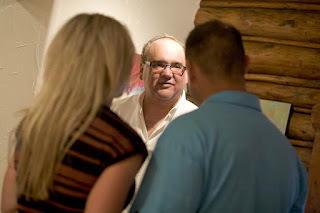 Pablo Milan and Steve Sonnen at Mirada Fine Art. Pablo Milan at Mirada Fine Art. 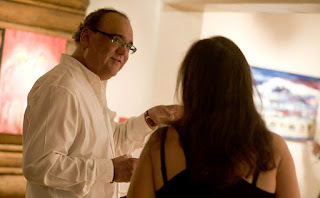 Pablo Milan at Mirada Fine Art with a patron. Enjoying the work of artist Pablo Milan at Mirada Fine Art. Artist Pablo Milan at Mirada Fine Art. 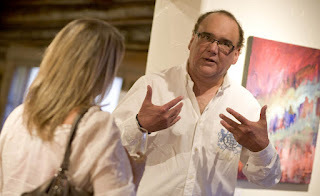 Pablo Milan with collector's of his work at Mirada Fine Art. Pablo Milan at Mirada Fine Art near Denver, CO. 'Storm at Sunset,' Acrylic on Canvas, 60" x 72"
In 2010, Mirada Fine Art was absolutely thrilled to bring legendary southwestern artist Pablo Milan to Colorado for our very first solo exhition. 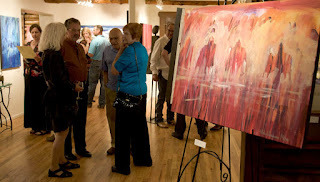 On September 21st, Mr. Milan returns to Colorado to again unveil a brand new exhibit, 'Southwestern Layers.' 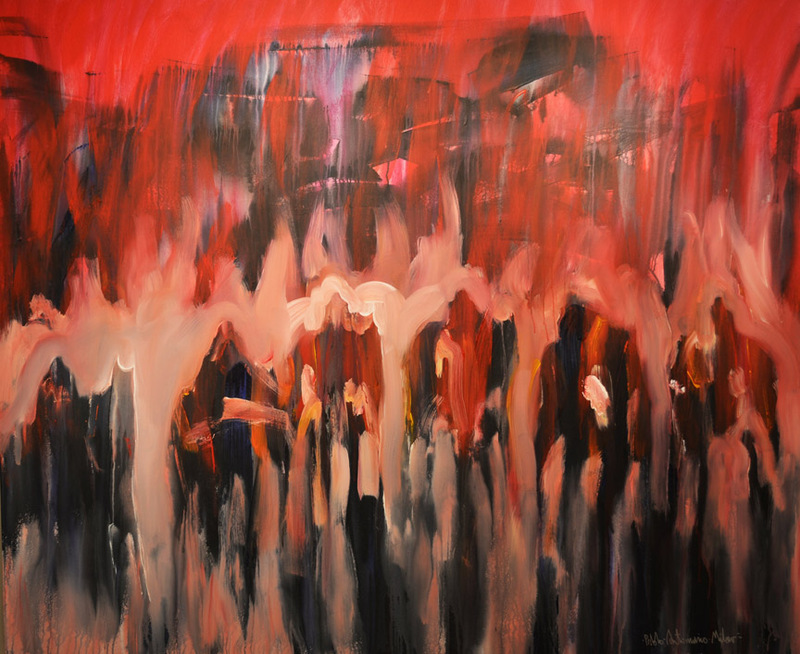 This remarkable exhibition will highlight Milan’s mastery of expressionistic art, with his traditional subjects of Native American horsemen, dancers and warriors, depicted in a very non-traditional manner. As one of the Southwest’s most prominent and recognized artists, Pablo Milan has long been viewed as highly collectible. 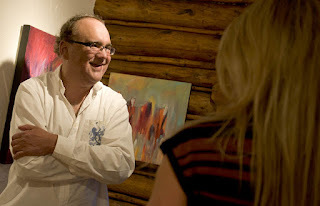 His distinctive contemporary look is known for its bright and powerful style. 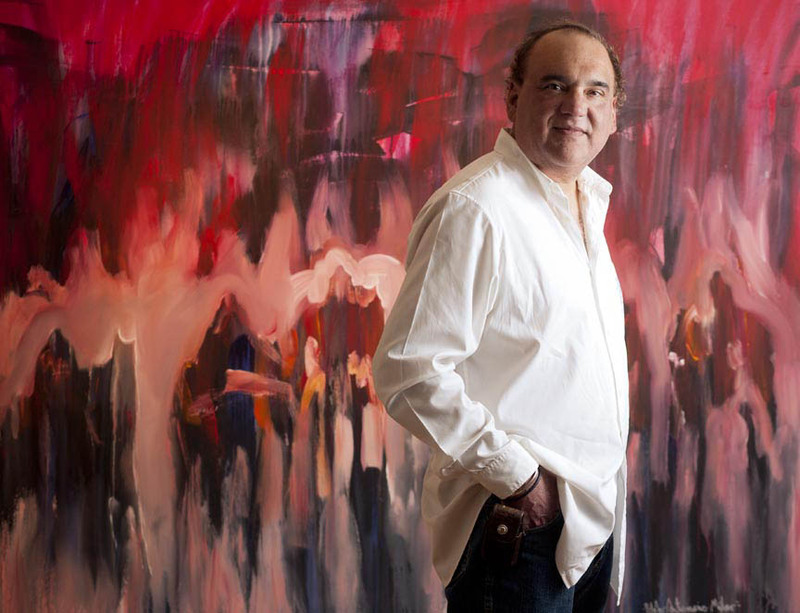 Mr. Milan draws from his New Mexican heritage, seamlessly incorporating Latin American figures with Native American scenes into his paintings. 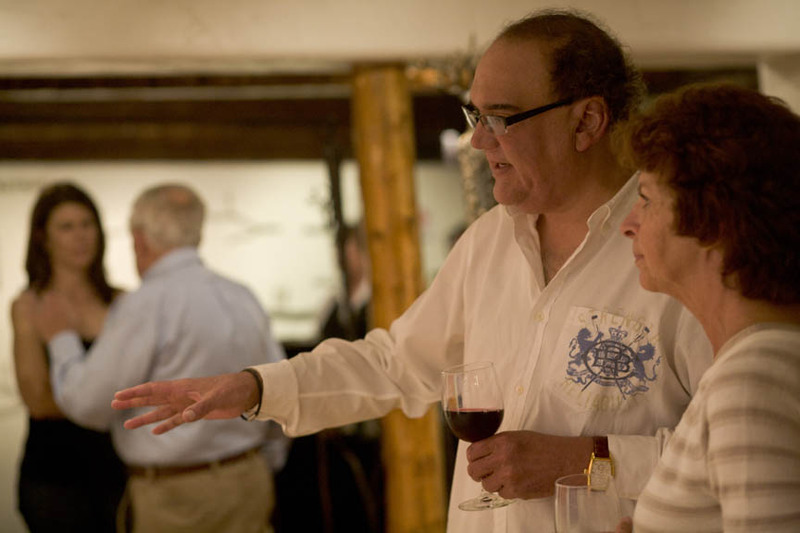 A fifth-generation New Mexican, Pablo Milan literally has been immersed in the rich culture of the Four Corners area his entire life. 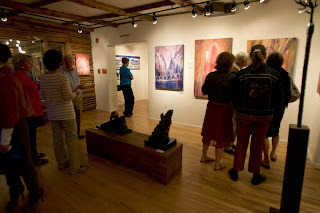 The huge influence of, and respect for, Native Americans is clearly reflected in his pieces. Much of his subject matter is drawn from his experiences watching the dances and ceremonies at the Pueblo of Laguna. Incorporating broad brushstrokes, delicate washes and heavy textures, almost ghostly horsemen and their animals emerge from his expressionistic pieces. 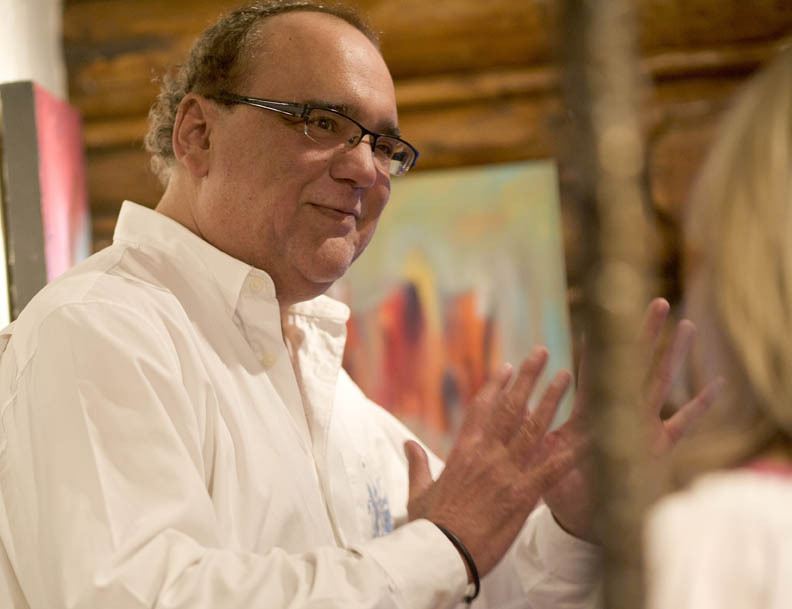 “I have a great respect for Native Americans, what they have done, and what they have tried to teach us,” Milan has said. 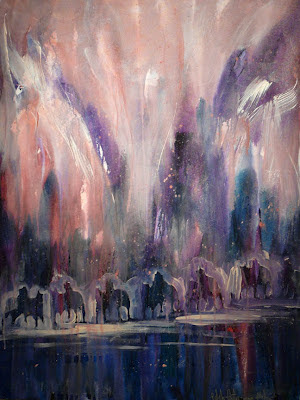 “My use of color shows the power, boldness and beauty of the culture. I exaggerate those elements to make them the center of attention.” He is less interested in representing the figures literally than conveying the feeling of what he paints. 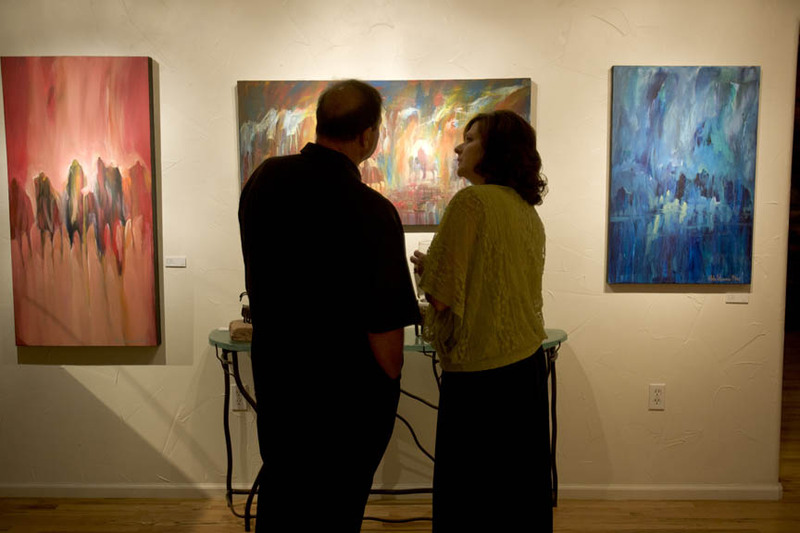 The intense variations of color and hue evident in his pieces place focus on the colorful spirit and environment of his heritage and Santa Fe home. Pablo Milan at Mirada Fine Art, Blazing Sunset, Acrylic on Canvas, 30" x 60"
Mr. Milan’s works are enjoyed in private and corporate collections throughout the world. Over a long and prestigious career, he has garnered innumerable awards, including Spanish Artist of the Year.